Special education teachers have specific training to work effectively with students with disabilities. But they also use simple classroom strategies that drive engagement and increase achievement. Learn how you can practice these at home with your own child. Teachers work hard to meet the needs of their students. And so do parents. But is the expertise of educators making it into the home, especially when it comes to children with special needs? In K–12 schools throughout the U.S., specialized supports for students with learning disabilities and differences are implemented in classrooms specifically based on children’s needs within a large-group setting. These range from assistive technology to extra time on tests or assignments to the support of a paraprofessional. What may surprise parents, though, is that teachers also rely daily on a variety of simple classroom strategies that have a significant impact on the success of students with special needs. Below are six highly effective teaching practices and advice for how to implement them at home. Proximity refers to how near a teacher is to her student. While this strategy is often used as a behavior management technique, it can also serve as a non-verbal reminder to students who struggle with inattention or hyperactivity, such as those with Attention Deficit Hyperactivity Disorder (ADHD), as the mere presence of an educator nearby has a positive effect on a child’s learning. When a teacher stands close to a student, she helps this child recall where her attention needs to be — that is, on her teacher and the academic instruction she is providing. You can use the same practice at home by creating a shared study environment where your child completes homework or school projects while you focus on your own tasks. As you work alongside one another, you will be able to keep an eye on your child, be nearby to help out when she needs it, and model focus and close attention to your responsibilities. Strong teachers create clear practices to increase student engagement and foster high-quality work. To this end, students need to know what success looks like in a teacher’s class. Understanding exactly what is being asked of them and how these expectations relate to subjects that they care about is especially important for students with disabilities; such instructional practices satisfy their need for consistency in routine and familiarity. Children with special needs may struggle to comprehend what an educator means if expectations are unclear or muddled. They may lack the ability to search for context clues or to infer meaning. Activities or assignments with multiple steps may also be too complex for them to process. Clarity and brevity are key to success for these children. Teachers who work effectively with students with disabilities articulate the learning targets for each student’s work and identify the quantity and quality required. They model the ways in which a child can achieve her individual goals and offer visual examples to support her in this effort. Many educators provide rubrics or other specific grading criteria that align with learning aims, and provide each student with the opportunity to assess her own work. Maintaining clear, consistent expectations is just as necessary at home since children with special needs thrive on predictable environments. Just as educators who work with these students seek to distinguish and meet individual needs, parents too can support each child according to her abilities and interests and provide a clear path to success. Post your household rules, chore lists, and schedule in a location that is easy for everyone to see, and be sure to review them with your kids if you need to make any changes. Most importantly, demonstrate your expectations for your children at home by using an “I do, we do, you do” model. That is, show them how to complete a task, practice with them, and then let them carry it out independently. Recognize that it may be challenging at first for a child with a disability to understand why expectations differ for each sibling, but this abstract concept can be reinforced through explanation and discussion. Help your child identify similarities and differences between herself and her siblings, and explain why it’s important that you tailor your expectations to these individual differences. Allow her to identify an expectation for herself as well in order to promote ownership of her behaviors and responsibilities. And be sure to provide specific recognition to each child when she meets the goals you’ve established. Students with disabilities frequently feel as if they are set apart from their peers — and indeed, they often are. Many must leave the classroom one or more times throughout the school day in order to receive special education services and academic supports. While these are vital to children’s success, such absences also disrupt the opportunities for a child with a disability to be fully integrated into a general education class, an approach known as inclusive education. The older a student gets, moreover, the more she understands this separation and difference from her peers, and such awareness can lead her to feel a sense of isolation. Providing small opportunities for a student with special needs to act as a leader can make a significant difference in shrinking this gap between her and her peers. For example, teachers may ask a student with a disability to head the class line to lunch once a week or lead the Pledge of Allegiance in the morning. Regardless of how minor a particular act may seem, providing opportunities to demonstrate leadership will give a child a sense of responsibility and pride that she may not experience elsewhere. At home, you can create chances for your child to use her abilities for leadership as well. For instance, let her teach you the latest technique she learned in math or guide you through a science experiment she worked on in school. You can ask her to be responsible for writing down the grocery list each week or calling everyone together for dinner nightly. Seemingly small tasks still allow children to lead and feel proud of their accomplishments. While there are schools that have adopted a “no excuses” educational model in which small student infractions are met with significant disciplinary actions, there are many K-12 institutions that use practical, positive techniques to make schools safe and create calm, successful learning environments. These instructional strategies are focused on ensuring that students feel respected and have educational choices, contributing to greater motivation. For many children with disabilities, large groups can be stressful, resulting in disruptive behavior that may emerge unintentionally. These students are often not able to express their needs or wants appropriately when they feel overwhelmed. Giving children with disabilities a number of choices can help them manage an environment that may feel uncontrollable. This practice also enables them to develop skills to solve their own problems within defined limits, in turn strengthening their self-esteem, independence, and motivation. 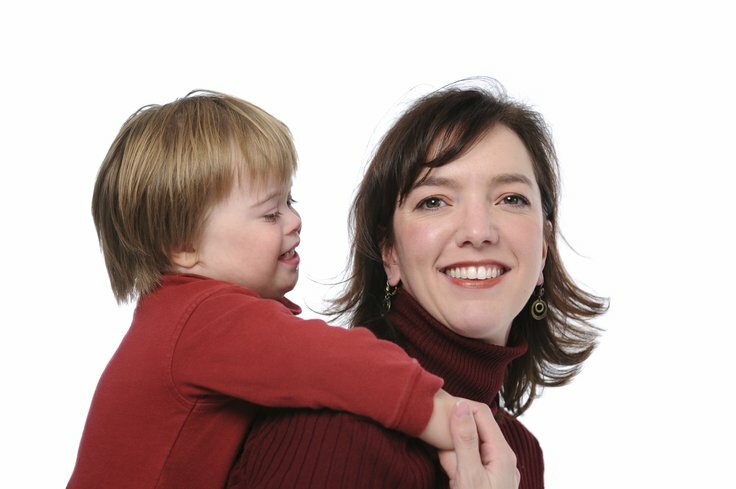 It’s important for parents to understand that children with disabilities — just like all kids — need opportunities to take risks and make decisions within controlled and enforced boundaries. The difference is that those with special needs may not be provided with sufficient experiences to develop these skills at school. Offering your child choices at home and respecting the decisions she makes will enable her to experience the consequences of such risk-taking — both positive and negative — in a supportive, safe environment. This, in turn, provides an opportunity to discuss the factors that contribute to successful decision-making and demonstrate that you appreciate her efforts to learn and grow. And these experiences can help your child gain the confidence to take greater chances in the classroom as well. Where a student is seated in a classroom can greatly support her individual needs. Some children attend to instruction better when seated nearest to the teacher, while others work better when their place is far from the classroom door and out of direct sight of a classroom window. Or, it may be that being too close to the computers or the block area is distracting for a child. Students with disabilities often have difficulty controlling their impulses, in part because it is exhausting to filter out the other distractors in their classroom. Providing these children with preferential seating can remove them from many of the attentional challenges they contend with in their learning environment, enabling them to focus on their work or the instruction. Understanding the effect that distractions may have on your child can help you reassess the spaces where she works at home. She may benefit from a separate area free from distractors or extra stimuli, one that is comfortable and soothing after an already-exhausting day at school. For many children with special needs, the calming effect that such spaces foster is essential for them to focus effectively on their schoolwork. Indeed, this setting can serve as the area where you work side-by-side with your child. Teachers often use a variety of rewards to reinforce children’s efforts to meet the performance standards set for each of them. Tangible rewards are not always necessary, as symbolic recognition can motivate a student just as successfully. Effective teachers are welcoming and respectful when they acknowledge how a student met expectations; they encourage children to share their ideas and thoughts, and build on the individual abilities and learning styles that they use to reach their goals. Supporting student achievement requires the participation of educators and parents alike. Teachers can be a remarkable resource, with seemingly small strategies that have an outsized effect on helping children attain their learning goals. These six practices are a great start, but ask your child’s teacher for others — she’s almost certainly got a trove of suggestions she’ll share.